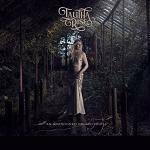 More information: Talitha Rise is a vocalist, songwriter, multi instrumentalist, (guitars, bass, ukelele, keys, autoharp, dulcimer, recorders, harmoniums, psaltery) visual artist and writer with a visionary talent. Her honey vocals and mesmeric haunting style coupled with her beautiful neo-folk songs have increasingly been enrapturing and provoking deep emotional response in live audiences. Writing from a place of raw genuinity, her poetically tangible world approaches what she calls the 'terminal condition of being alive' armed with lullabies and battle cries hand in hand. At times heartbreaking but always hopeful. Raised in a small farming village in Sussex, England, her inspirations threaded between nature, art, classical literature, folklore, mythology and progressive music. She has been likened to Stevie Nicks, First Aid Kit, Joan Baez, Joni Mitchell, Tori Amos, Kate Bush, Cocteau Twins and Mazzy Star .. a mix which gives you some idea of her vocal prowess. She above all sounds uniquely and instantly recognisably like herself.